As society evolves, so does technology. Wall phones turn into cell phones, desktop computers turn into laptops, glasses turn into contacts, TV turns into Netflix, and books turn into eReaders. We replace the old with the new and embrace the new technology that is presented to us because we think that is is an improvement. And sometimes, they are. However, society tends to forget about the things that were there before advanced technology. When someone goes to read, they are no longer picking up a book, but picking up an eReader. Society is decreasing its use of paper books but nothing can truly replace them. Books far surpass eReaders when it comes to the health of body and mind. Reading paper books help boost memory retention and focus. Turning the pages allow for interaction and the mind to feel it progressing through a book. The most damage a paper book can cause is papercuts whereas eReaders do much more damage. EReaders have been proven to cause sleep problems and eye strain. Similar to phones the blue light emits short wavelengths, which can suppress melatonin release causing sleep issues and eye problems to arise. Paper books are a big advantage in school. Books contain artifacts and documents from the past. They contain tangible evidence of what came before us. Annotating is much easier to do with paper books. Most eReaders do not have an option to add personal comments to a book for further inspection. Most teachers prefer using paper books because of its history and importance. People who prefer eReaders often comment on the fact that it is easy to carry and contains millions of books. EReaders allow you to carry an entire library in your hands, however it is no substitute for a actual library. Libraries are free and provide a quiet place to read. Nothing can replace the smell of books and calming atmosphere that a library provides. Not only that but a library will always be there for access. It doesn’t need a charger to work or an internet connection. 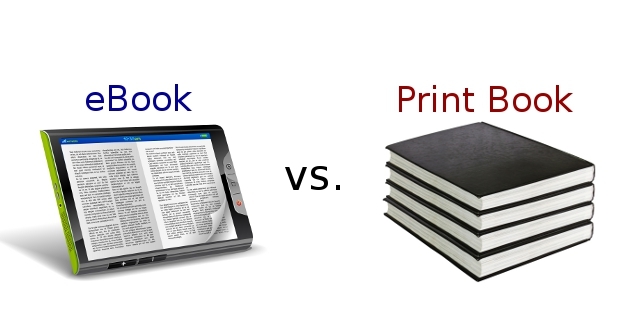 Overall, paper books have much more advantages than eReaders. The idea that books are outdated is an illusion and people should be choosing them over eReaders. Paper books are calming and god for the brain. Instead of spending money on an eReader, try going to a local library and looking for a book. You never know what you might find.